Pushcart Prize Nominee Jacques Rancourt on "Shank"
and ends with the great final stand: “No. Not this pig.” This poem has many striking similarities with “Shank,” so you can imagine my surprise months after I finished revising “Shank” when I read Levine’s poem for the first time. That might not be entirely true. I’m sure I read Levine’s well-anthologized poem years earlier during my undergraduate years, but I was not consciously thinking of Levine at the time I wrote “Shank.” The mind does this sometimes. It synthesizes, rearranges, spits an idea back out years later, and congratulates itself on its originality. Looking back through my first drafts, the synthesis of Levine’s poem is less evident. I find the first line I wrote for the poem in a journal dated during the summer of 2010: “I am the cow who’s too stupid to know,” which is a line that was cut pretty early in the drafting process. At the time, I had been planning my food-themed freshman comp class, and I was reading a lot of articles and books about industrial farming and livestock conditions. In younger versions of the poem, the comparison between the cow and the speaker was a more self-conscious one, a more blatant metaphor, and the voice didn’t come from the animal itself. The poem was titled “Shank” right from the start. This doesn’t happen to me often, as I usually don’t understand my own poems well enough in the beginning to give them their final titles, but in this case, the duality of the word’s formal definition (a cut of meat from the lower limb) and its street definition (to be cut by a makeshift blade) was a tension that initially set me writing this poem. At the time, I was writing a lot of poems which examined the relationship between a queer identity and violence, and how coming out publicly opens oneself up to freedom but also a vulnerability (physical and otherwise). As I revised the poem over the next few months, I became more attracted to this cow in the slaughtering assembly as a character, and as a result, its role in the poem grew larger until it became the focal voice. The queer and human voice still exists, but it’s been filtered through the cow and only comes out forthright once toward the end: “In the night I held hands / with a man, I licked his face. / Then I was fat enough, full even, / placed in line.” When friend and terrific poet Josh Kaslcheur pointed out the similarities between “Shank” and “Animals Are Passing From Our Lives,” I was drawn to the way these two poems were in conversation with each other and how the idea of an animal walking toward its butchering block can encompass such different metaphors. Jacques J. Rancourt is the author of "Shank" (p.42) published in Poet Lore (Volume 106 3/4 Fall/Winter). You can purchase the issue here or procure a subscription to Poet Lore here. 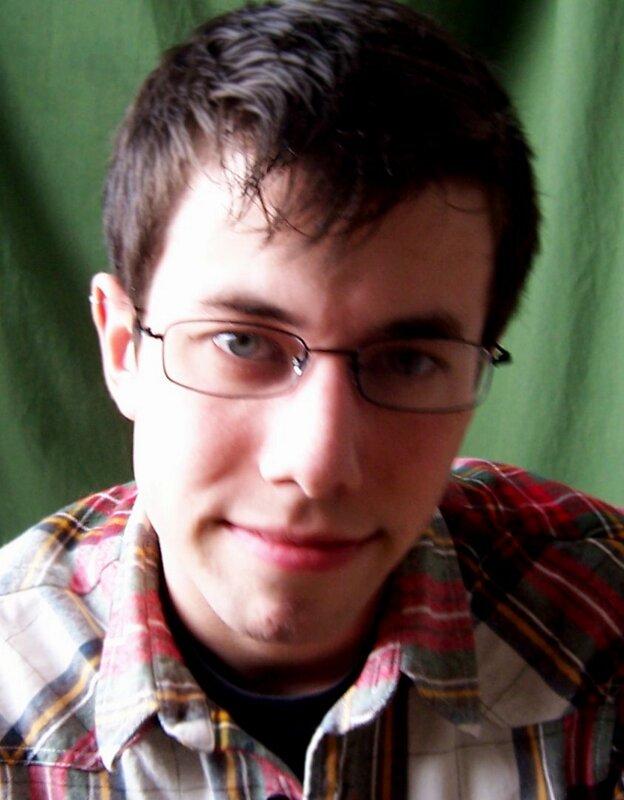 Jacques J. Rancourt holds the 2011-2012 Halls Emerging Artist Fellowship from the Wisconsin Institute for Creative Writing. His poems have appeared or will appear in New England Review, Beloit Poetry Journal, Colorado Review, and Columbia, among others. He lives in Madison, Wisconsin, where he was a founding editor of the online literary journal Devil's Lake (www.devils-lake.org). He blogs at http://americanshrapnel.blogspot.com/. Critique Groups: Helpful, Harmful, or a Big Waste of Time? Check out TWC workshop leader Ellen Herbert's blog article, entitled, "Critique Groups: Helpful, Harmful, or a Big Waste of Time?" Also, check out Ellen's February workshop, Writing From Life. TWC workshop leader C.M. Mayo's new podcast is 10 Tips to Get the Most Out of Your Writing Workshop. Or, read the blog post about this podcast. And hey, if you liked this one, check out more podcasts for writers. The Bethesda Urban Partnership & Bethesda Magazine have partnered to host the below contests. All winners will be published on the Bethesda Urban Partnership and Bethesda Magazine websites and honored at a special event during the Bethesda Literary Festival. Adult & Young Adult Essay Topic: Who or what has influenced, motivated or inspired you and how has it shaped your outlook on life? Eligibility: Residents of Washington, D.C., Maryland and Virginia are eligible. The contest will take entries in two categories: Young Adult (grades 9-12) and Adult (ages 18+ and finished with high school). Eligibility: Open to residents of Maryland, Virginia and Washington, D.C. who are 18 or older at the time of the entry deadline. The Delmarva Review has nominated the writing of six authors for Pushcart Prizes in poetry, short fiction, and essay categories. The review is invited annually to honor original prose and poetry with nominations for the prestigious annual literary awards. Poetry nominations include “After Phillis Wheatley Sailed to England,” by E. Ethelbert Miller, of Washington, D.C., “A Whaler’s Journal: Scrimshaw,” by Kyle Laws, of Pueblo, CO, and “The Photo Album,” by Wendy Elizabeth Ingersoll, of Newark, DE. Short fiction nominations include “The Guildemeister,” by Iain S. Baird, of Annapolis, MD and New Orleans, LA, and “Mrs. Morrisette,” by Margaret Rosenberg, of Reston, VA. In the essay category, “Nursing 101,” by Margaret Adams, was nominated. Ms. Adams is from Baltimore, MD. All six selections were published in the 2011 issue of The Delmarva Review. Final selections in the national competition will be published in the late fall, in Pushcart Prize XXXVII, Best of the Small Presses. The Pushcart Prize nomination process has honored the outstanding work of authors annually since 1976. The first edition featured a short story by a young Ray Carver. Since then, Pushcart has discovered many talented new voices in literature. The Delmarva Review is published by the Eastern Shore Writers’ Association (ESWA), a nonprofit organization supporting writers and the literary arts. Its website is www.easternshorewriters.org. The submission period for the 2012 edition of the Review is open now through February 28. Writers of fiction, creative nonfiction and poetry are encouraged to submit their best work. All writers are welcome, regardless of geographic residence. Submission guidelines are posted on the website www.delmarvareview.com. Subscriptions and individual orders of The Delmarva Review are available on its website. A digital edition can be purchased from Kindle on Amazon.com for download to electronic reading devices. The Review’s editorial board includes Wilson Wyatt, chairman, from Bozman, Mala Burt, managing editor, from St. Michaels, John Elsberg, from Henderson, George Merrill, of St. Michaels, Margot Miller, of Easton, Amanda Newell, of Henderson, and Harold Wilson, of Chester. The copy editor is Jeanne Pinault, of Cambridge. Laura Ambler , of Easton, is design editor. Part of a full length book and album project called "By the By: The Copybook Songs of Isaac P. Anderson," workshop leader David Keplinger has put a lyric written by his great great grandfather in 1869 to music. Below is the song they made together! David Keplinger, vocals, guitar; Helen Hausmann, violin, Ira Gitlin, banjo. Buy the EP on iTunes today!. Also, check out David's upcoming workshop, Managing Imagination. The cabin lights dimmed and the plane rocked slightly then began the slow push back, the careful turn, the taxi toward the runway. As the aircraft lumbered toward take-off, gathering momentum, I closed my eyes anticipating the moment I’d feel the front wheels leave the earth. It is the best part of flying--a moment of subtle exhilaration not unlike knowing a story-start is going to take flight. That’s the thing about baggage--about the painful experiences you’ve stuffed, the unacknowledged feelings and memories you’ve stowed. That baggage is perhaps your most authentic material and leaving it behind may cost you the stories you were born to write. The sibling who protected you, the friend who saved you from isolation, contributed to who you became. But so did the coach who humiliated you, the girlfriend who deceived you, the parent who abandoned you. We just don’t like to think about these influences. We tend to pack them away but their impact remains, and with it the potential to serve our writing. The stuffed experience may be a relationship or a situation, a workaholic parent, a move to a place where you had no friends. And sometimes there is only a vague feeling without a specific memory attached to it, but the feeling is no less formative and no less worthy of your respect. If the color purple inexplicably makes you sad, there’s a reason. Explore the feeling on the page until you figure it out and are free of it. Explore contradictions—like occasions where you “should” have been happy but were not. Examine influences from your past--your mother’s loneliness, your father’s courage, and ask yourself “What if?” Asking “What if?” allows you to push beyond the subliminal limits of what really happened to invent a more imaginative or compassionate story. Maybe you’ll stumble on an actual truth or at least a new empathy. Try rewriting the facts of your life as you would like to have seen them played out. Make people more accountable, more self-aware than they actually were. Make something happen when nothing did. Expose secrets from your past in a way that benefits a whole town. These exercises are constructive, freeing, and set a whole new energy in motion. Recognize the fact that what you invent on the page you may be able to recreate in your life because in this world you can bestow miracles. Neuroscientists now believe that the primal brain, that ancient, reptilian, “old” brain, cannot distinguish between self and other. It sees all action as inner-directed. So when we criticize others, bizarrely, we feel criticized. When we gossip about a co-worker, we feel diminished. And as writers, when we lead a character to an epiphany, laughter, insight, forgiveness, or compassion, we feel oddly as if those gifts have been bestowed upon us. What a life-altering combination of fiction and reality! Each informs and transforms the other. Embrace the memories you would rather avoid and tell the whole story. It’s okay if you take off late, if waiting until you are ready to write about a particular subject, person, or experience, delays the writing of your essay, story, or novel. On the wings of truth, lost time is recovered in the air. Laura Oliver is an award-winning writer and the author of The Story Within, New Insights and Inspiration for Writers (Alpha/Penguin.) Pulitzer Prize-winner Jon Franklin says, “This book will make you a better writer.” Cynthia Gorney, U.C. Berkeley, says The Story Within is “eloquent, no-nonsense, inspirational, funny and loaded with truly practical ideas.” Oliver teaches at St. John’s College. Her website is www.thestorywithin.com. For upcoming TWC workshops being led by Laura Oliver, please click here. Registration for the 15th Annual Bay to Ocean Writers Conference, February 25, 2012 is now open. Check the website www.baytoocean.com for details. Featured speakers include TWC workshop leaders Kathryn Johnson, Laura Oliver, Lynn Schwartz, Khris Baxter, Angela Render, and Sue Ellen Thompson. Registration must be received by February 15, 2012. On the website you will find session descriptions and brief bios of the instructors. You can print out a schedule for the day to help you plan your day; however, it is not necessary to sign up for individual sessions. At this conference we’ll have 28 excellent session leaders giving presentations on many topics relating to the art and business of writing. Whether you’re interested in learning the craft of writing, utilizing digital tools for writers, getting your work published and marketed, or any of the other writing related topics offered, the Bay to Ocean Writers Conference definitely has something for everyone. Fees have stayed the same as we are aware of the impact of the economy on everyone: $89 for adults and $55 for students with ID. Your registration fee includes a deluxe continental breakfast, a networking lunch and five sessions chosen from 25 offerings. Early registration is strongly encouraged as the conference has sold out in advance the last six years. For all of you TWC fans of our good friend Rod Jellema, check out the reading he's featured in below, this month! Rod Jellema is Professor Emeritus at the University of Maryland, where he was the founding director of the Creative Writing Program. He produced five books of poems, the latest of which, Incarnality: The Collected Poems was published in October 2010. He was twice awarded poetry writing fellowships by the National Endowment for the Arts, and was many times a resident fellow at Yaddo. He edited and translated two books of poetry from the North Sea language of Frisian: County Fair: Poems from Friesland Since 1945 and The Sound that Remains: a Historical Collection of Frisian Poetry. For this work he was awarded Friesland's highest literary honor, the Pieter Jelles prize, and the Columbia University Translation Prize, 1986. Michael David Lukas has been a Fulbright Scholar in Turkey, a night-shift proofreader in Tel Aviv, and a waiter at the Bread Loaf Writers’ Conference in Vermont. A graduate of Brown University and the University of Maryland, his writing has appeared in VQR, Slate, National Geographic Traveler, and Georgia Review. He has received scholarships from the National Endowment of the Arts, New York State Summer Writers’ Institute, Squaw Valler Community of Writers, Ludwig Vogelstein Foundation, and Elizabeth George Foundation. When he isn’t writing, he teaches creative writing to third-and forth-graders. Alison Stine is the author of the books Wait, winner of the Brittingham Prize, Ohio Violence, winner of the Vassar Miller Prize, as well as a chapbook, Lot of My Sister, winner of the Wick Prize. Her poems and prose have appeared in The Paris Review, Poetry, Tin House, The Huffington Post, New England Review, and many others. Her awards include the Wallace Stegner Fellowship from Stanford University, and the Ruth Lilly Fellowship from the Poetry Foundation. A former child actress, her musicals and plays have been performed at the Cleveland Playhouse, the International Thespian Festival, and Off-Broadway for Stephen Sondheim's Young Playwrights Inc. Urban Retreat.